In a recent review of LATAM’s 787-9 Dreamliner business class (which you can read here), we touched based on the lounge offering that awaits business class passengers when they depart Sydney on any Oneworld flight. This lounge is also the starting point for many Qantas (and their partners, see below) flights. 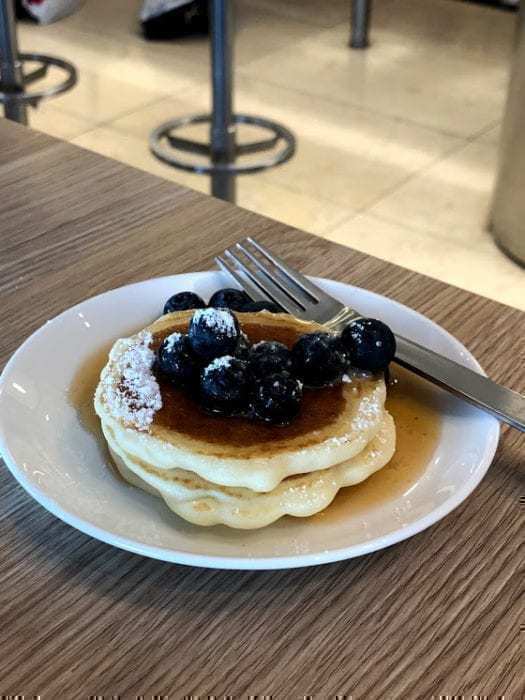 We thought many would appreciate a more detailed review and have gone back in to truly rank it compared to other lounges (Oneworld or not) in the world. Who can go to the Oneworld lounge? There are several ways to gain access to the Qantas Oneworld business lounge in Sydney. Buy a business ticket on a Oneworld flight leaving Sydney. 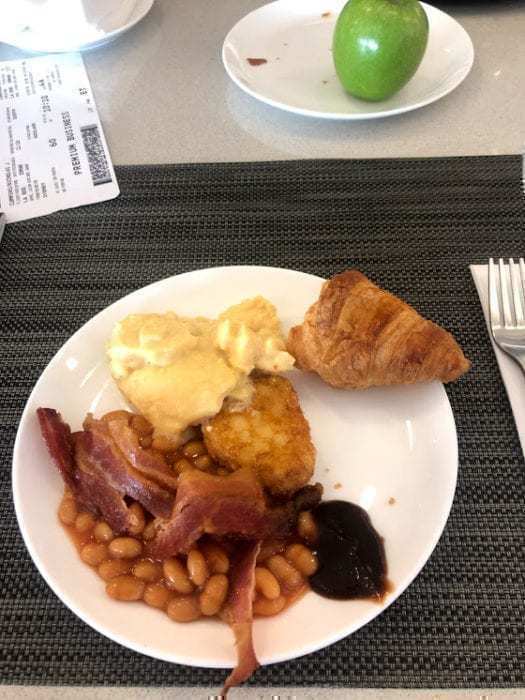 This would be airlines like LATAM, Qatar, British Airways (the only European airline still flying to Australia), Cathay, Japan Airlines and more. Some members of Oneworld’s loyalty programs may have access. Emirates, through their partnership with Qantas, has access to the business class lounge. It’s a bit funny to see passengers traveling on Qatar and rival Emirates sitting opposite each other. Be a silver member or higher of the Qantas Club, their loyalty program. Passengers flying on Qantas’ low-cost carrier Jetstar who have upgraded to premium or ‘economy starter max’ tickets. As you can see, that’s quite a few different ways to get into an exclusive lounge. As such that leads us into the review. Straight upon walking in, you will notice how crowded the lounge is. It is packed, with no seats for any newcomers and barely enough room to walk to the buffet. For this reason sometimes it can take up to 15 minutes just to get access to the lounge area with long queues extending outside the lobby. There is a large foyer filled with sofa chairs and then two restaurants off in each direction. 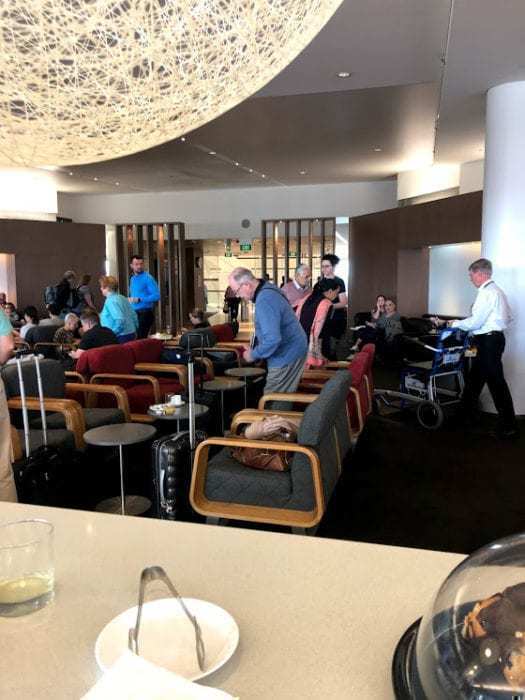 The lounge is directly under the Qantas first class lounge, however, there is no way for first-class passengers to easily access the area. At around 10 am, something magical happened. All the day flights leaving to Europe departed at once. This meant that a large group of passengers left the lounge and opened up plenty of seating areas. Sydney airport is unique that its mornings and evenings are super busy with flights, but its midday to afternoon flights are few and far between. This means that the lounges and concourses empty right out (and if you ever arrive at around 3pm, you will find that you are the only flight at baggage claim) solving the overcrowding issue. 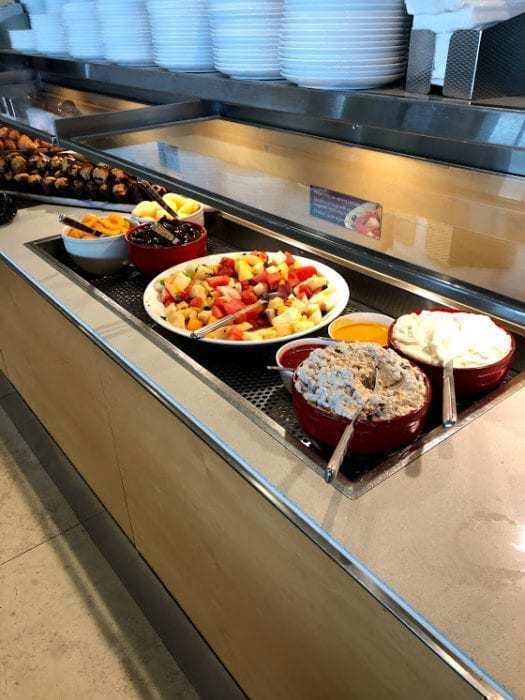 Just a part of the buffet in the Oneworld lounge. Source: Simple Flying. 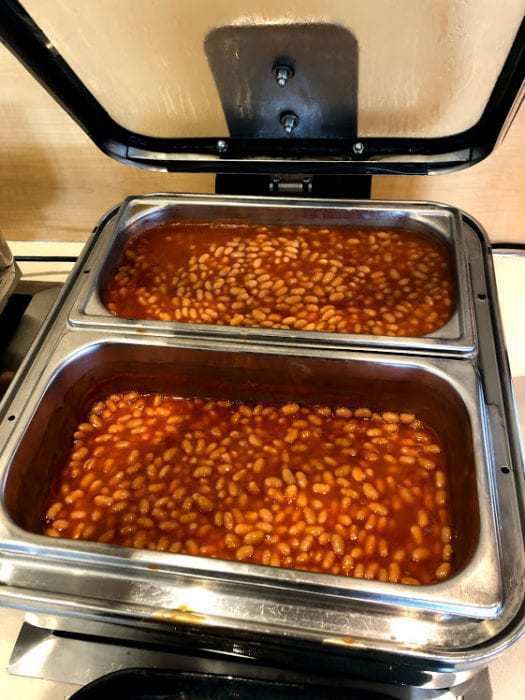 If you are a huge fan of beans, then you will love the Qantas lounge. Source: Simple Flying. Additionally, there is a ‘meal of the day’ offer from the kitchen. In this case, it was a very odd Spanish bravos dish (potato with tomato paste and cream) that featured additions like jalapenos. A point for being creative. The lounge also provides computers for passengers to use, a selection of reading materials and showers. 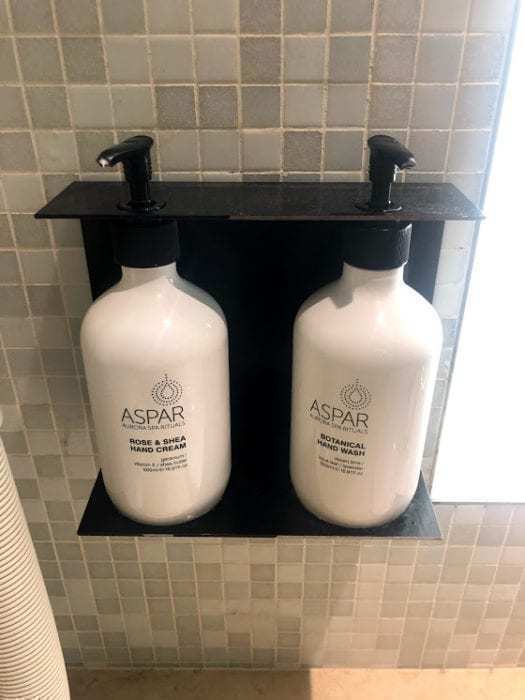 The showers were very clean, and (despite not using them) towels are provided with some high-quality soap. There was a bit of a wait to access them, but it became clear that this was to ensure that they could be cleaned correctly. Overall, I am happy with the Qantas Oneworld business lounge… if it’s not crowded. I felt like too many people were allowed in and thus the overall quality had to drop. Next time I’ll go to the first class lounge to compare. What do you think of this review? Let us know in the comments.